In the wake of its culture review that painted a grim picture of how it runs professional cricket in the country, Cricket Australia (CA) has launched an effort to re-branding its image. In the wake of its culture review that painted a grim picture of how it runs professional cricket in the country, Cricket Australia (CA) has launched an effort to re-brand the image of how the organisation and its cricketers are perceived in public. Apart from launching a new player charter, several phrases have been made associated with the national team including of ‘Elite Honesty’ which has drawn mixed reactions on social media. 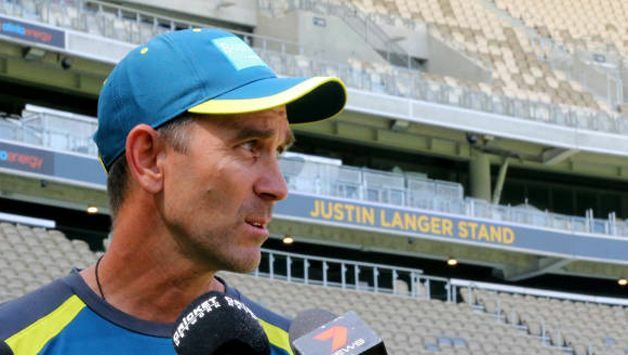 Justin Langer, who replaced Darren Lehmann as the Australian’s men’s team head coach after the ball-tampering saga, has explained the concept of ‘Elite Honesty’ – a phrase among several seen plastered on the walls of Australian dressing room at the Perth Stadium – venue of their first ODI against South Africa on Sunday. “It’s the Australian way as I know it,” Langer explained. “You look at a bloke or a lady in the face and you tell them the truth and you need to really honest with yourself, because if you’re not you’re kidding yourself. The man in the mirror is almost a cliche, but if you want to be successful in life you have got to be able to look yourself in the mirror. 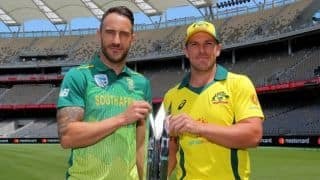 Sunday will be the first occasion when Australia will take field at home following the infamous Cape Town Test that caught their players changing the condition of the ball to gain unfair advantage.